Spring Manufacturing. Over 1,000 CNC Control Four Slide Machines, Auto Coiling, Forming, Change, Heading, Drill and Thread Rolling machines grace our offshore factory. Our ultrasonic machines assure the cleanest surfaces for secondary finishing operations. Whether your application requires compression, tension, or torsion springs we can service your needs. Music and Piano wire, hard carbon steel wire unfinished and coated, stainless steel, low carbon, zinc plated and coated stainless wire are available. 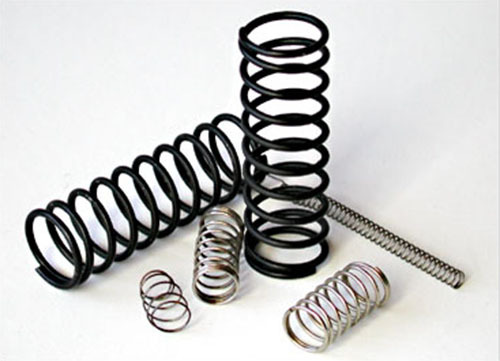 Our advanced custom spring engineering processes and state-of-the-art equipment combine to design and manufacture an infinite variety of custom springs to your exact specifications. Our engineers will meet every unique requirement for your custom springs, while maintaining the level of precision and quality that has become synonymous with LP International. We will produce precision formed metal parts to meet your strictest quality and reliability requirements.